Located about 12 miles south of downtown San Jose, the property is known as “The Punch Bowl” because of its bowl-shaped terrain. 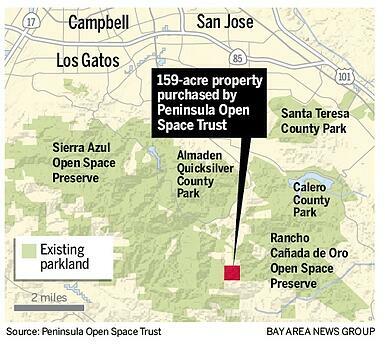 It will be owned by the Santa Clara Valley Open Space Authority, a government agency in San Jose, and will provide the first connection between the authority’s 5,000-acre Rancho Cañada del Oro Open Space Preserve and the massive, 18,000-acre Sierra Azul Open Space Preserve to the north, which includes Mount Umunhum. When other adjacent parks and open spaces are included, such as Almaden Quicksilver County Park, the newly acquired property links 31,000 acres of protected open space — an area slightly larger than the city of San Francisco, or equal to Palo Alto and Sunnyvale combined. “This is a critical puzzle piece,” said Andrea Mackenzie, general manager of the open space authority. The new connection will allow permanent protection for wildlife such as mountain lions, bobcats and deer to roam over a wide area between Lexington Reservoir near Los Gatos and Morgan Hill without roads or homes blocking their routes. 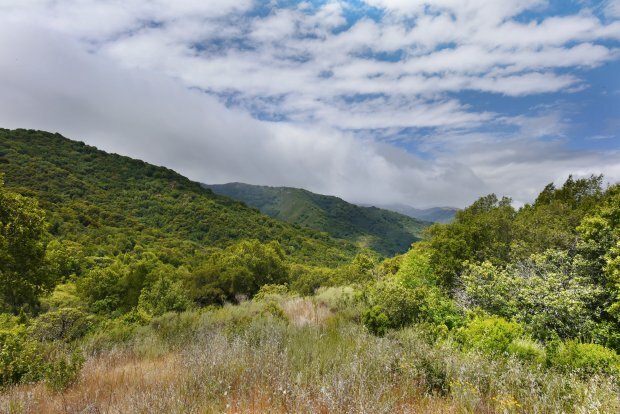 And it sets the stage for a new trail of between 6 and 8 miles long to be built linking Rancho Cañada with existing trails near Mount Umunhum in the Sierra Azul preserve, which is owned by Midpeninsula Regional Open Space District, a government agency in Los Altos. The newly acquired property was sold by the Geiger Family Trust for $400,000. Some of the purchase price, $130,000, was paid for by the Gordon and Betty Moore Foundation. The rest was split evenly between the open space authority and the open space trust, known as POST. Mackenzie said it could be up to five years before the new trail network is planned, built and open to the public. That’s because scientists from the open space and parks districts involved need to study wildlife migration patterns over the next few years and carefully plan out detailed trail routes that do not interfere with them, she said. The property, which has no buildings on it, also contains an important fire break, she noted. 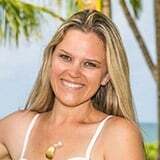 The fire break, an area cleared of thick vegetation to slow or prevent wildfires from spreading during dry conditions, was important in limiting the damage from the Loma Fire, which burned in the foothills nearby in September 2016, she noted. That fire burned 4,474 acres and destroyed 12 homes. It was caused by sparks from a portable generator used in a marijuana cultivation operation off Loma Chiquita Road, according to Cal Fire investigators. POST has preserved more than 76,000 acres of land in San Mateo and Santa Clara counties over the past 41 years. The Santa Clara Valley Open Space Authority has preserved 25,000 acres since its creation by the state legislature in 1993.